This itinerary features a double overnight stay in New Orleans during the most festive time of year. Experience the Krewe’s artistry and theatrics firsthand as you catch colorful beads and join in the vibrant festivities during this iconic parade. Onboard, listen to good jazz and dine on local favorites paired with fabulous wines, enjoy Celebrity’s own take on the Mardi Gras parade with more jazz music, party favors, and New Orleans inspired cocktails. Destination Speakers will cover topics such as the ancient Maya Empire, the history of Mardi Gras, the history of the Caribbean Indians, and more. Escaping the snow, wind and general grayness of winter and going on a warm, Royal Caribbean cruise sounds like the perfect plan. On this 13 day land and cruise to the Southern Caribbean, you’ll do just that. And being aboard the innovative Anthem of the Seas, the ship could even be your destination. Discover paradise in the Caribbean. 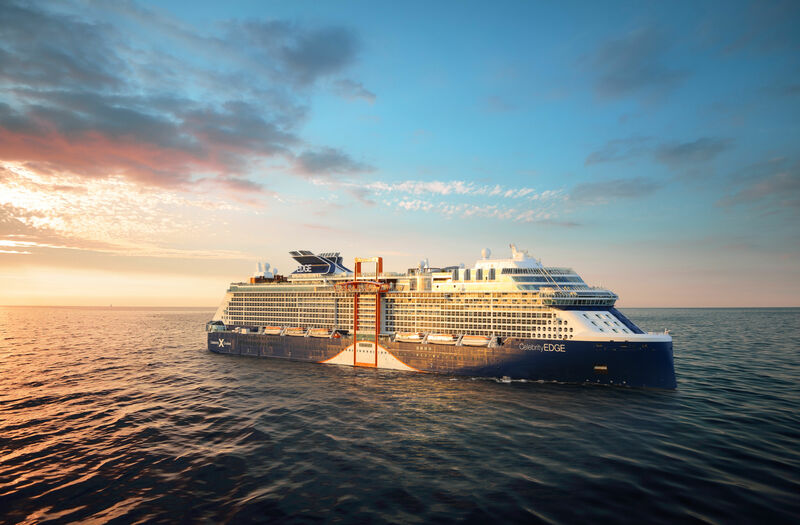 Hop aboard the all new Celebrity Edge to the Caribbean to find white sand beaches, sparkling seas and tropical sunshine. Each island has its own unique culture waiting to be explored. Sail along the coast of the Mexican Riviera in style while you delve into ancient civilizations aboard Holland America’s Maasdam. Appreciate the raw beauty, active adventure, and authentic culture that the Sea of Cortés has to offer on this 14 day journey along Mexico’s West Coast. Experience the Caribbean as only Holland America Line can deliver. Discover the many pleasures of an elegant, mid-sized ship. This unforgettable journey begins on Holland America’s private Bahamian Island before sailing south to Aruba, Curacao, and a partial transit through the Panama Canal. Set sail for the canal that changed trade forever with a Princess Cruises Panama Canal cruise. Visit some unique ports-of-call before the ever-popular trip through the canal’s locks. But even the most jaded travelers will be inspired by the breathtaking view and experience of the trip through the locks. In addition, you can head to the shore for a jungle excursion or cultural immersion with the intriguing natives. Try something new and exciting with a Panama Canal cruise along with Princess Cruises.